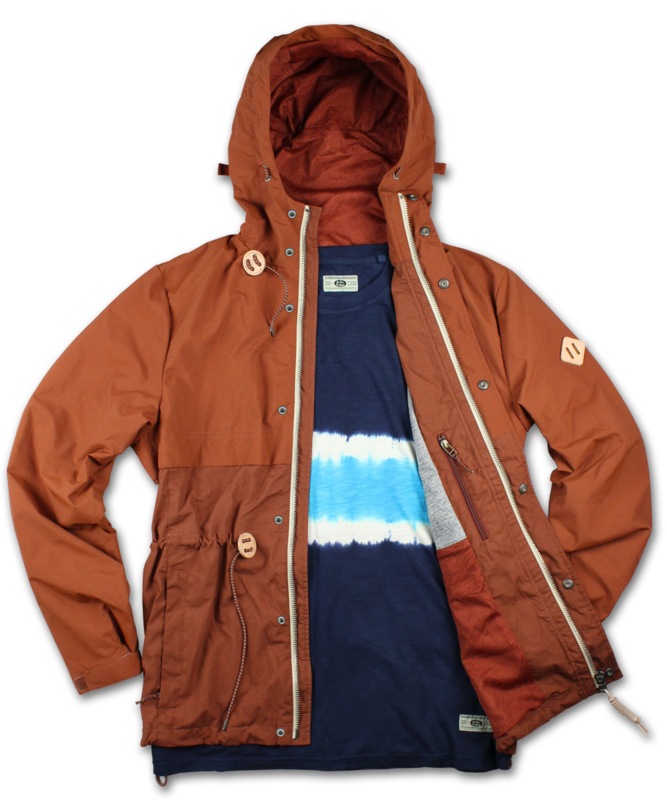 After seeing their upcoming inventory at Jacket Required, I came away a little excited for their releases, a fine mixture of surf and style, with an absolutely fire M65 thrown in for good measure. Uniformes Generale have combined Japanese attention to detail with American style, from surfing to Ivy League. They’re releasing modern takes on timeless classics, using a fine mixture of bright, bold colours along with subtle, restricted colours covering all angles with each item. 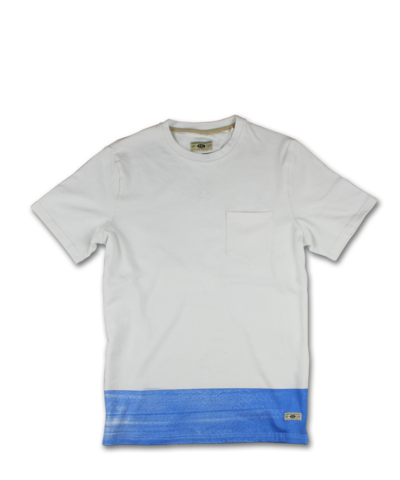 Using inspiration from the first hand painted fibre glass surfboards has resulted in an array of superb, subtle yet eccentric t-shirts. 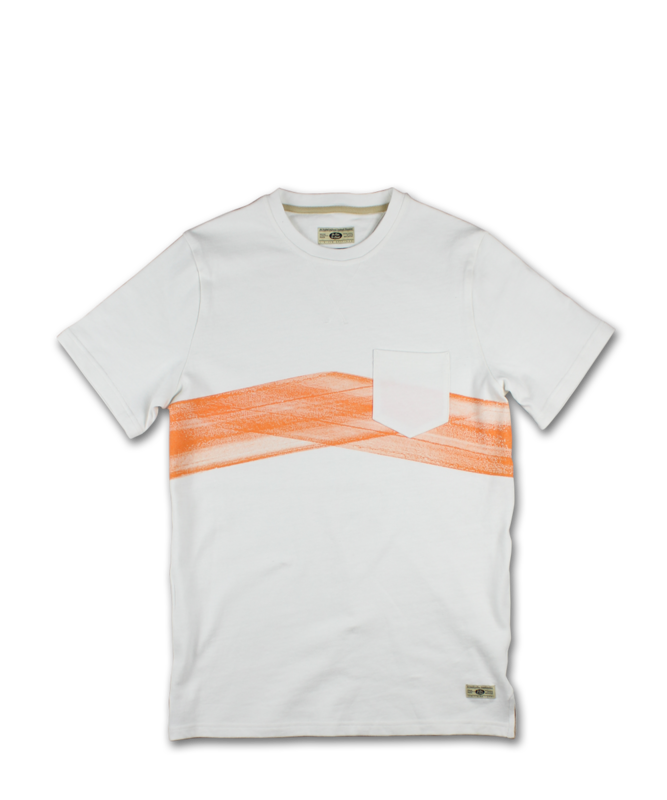 Based on a 50’s jersey bought in Tokyo, the UG t-shirts use side vents and an overlocked V neck to bring you a high quality, heavyweight t-shirt. 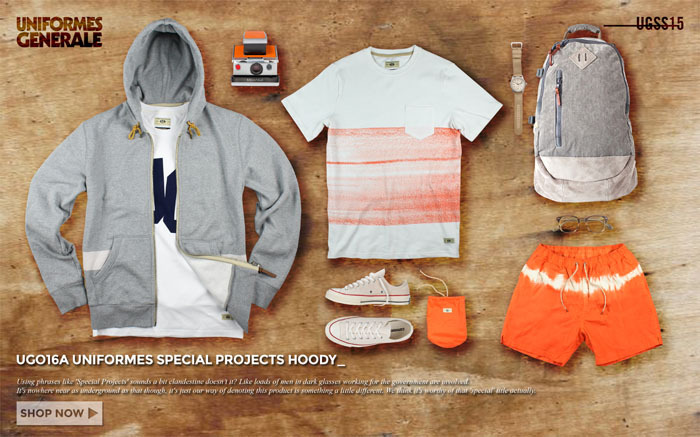 The sweat section also offers a few options as well, one being their supermarl sweat, a wardrobe staple using their own unique fabric for added comfort, a hybrid of sweat and knitwear, switwear so to speak. They have combined the comfort of both knit and sweatshirts whilst still being a homage to a traditional loopback sweat. They have altered the colour from last seasons with a new ‘grey salt & pepper’, noticeable on close inspection. 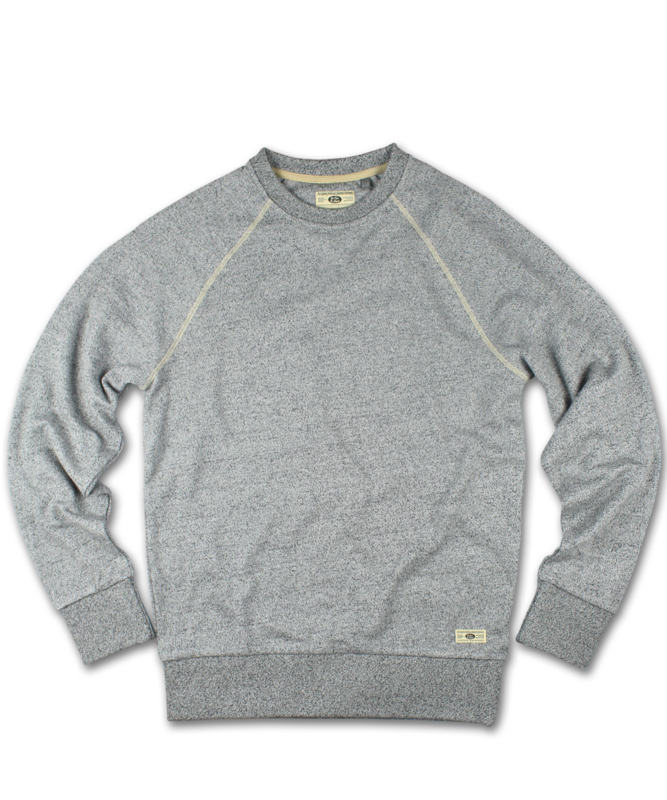 They have also brought back a sweat pocket sweatshirt, a favourite from AW14. 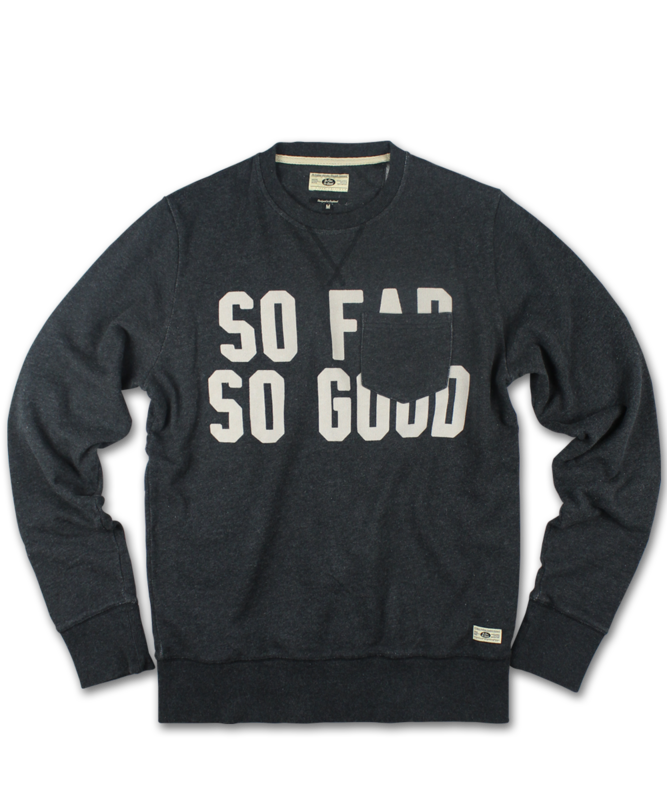 With the phrase ‘So Far So Good’ across the chest, available in 4 colours this year, they’ve used the same philisophy and style as last year’s effort and taken it a step further. Now for the part we’ve all been waiting for, the jackets. 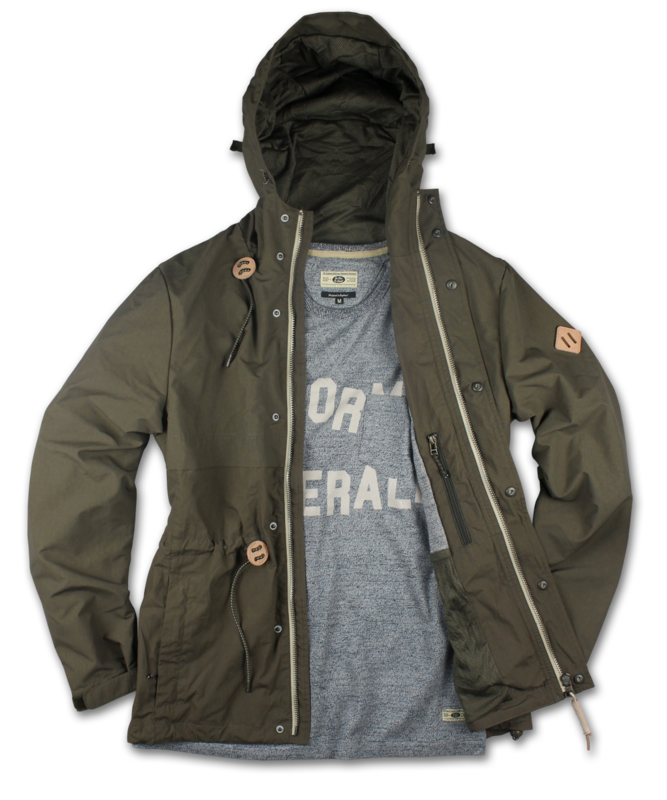 They’ve upped the game this season with the Cali shell jacket and the M-65, a modern take on a military classic. The Cali shell jacket, a Summer take on last years Flux Capacitor, is a slight two-tonal jacket, with the upper shell being ripstop and the lower being soft touch cotton, so all the girls can cuddle up to you whilst you’re wearing it. Minimal branding with an attention to breathability and fully adjustable make it a perfect option for an unpredictable Summers day. 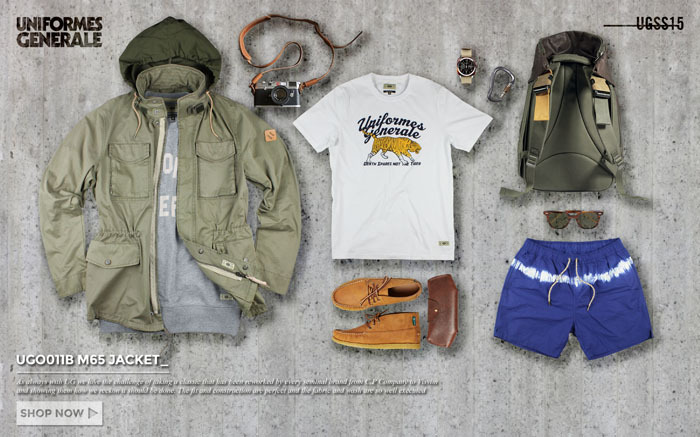 They have also done a modernised take on the classic M65. Keeping the basic, timeless design the same, yet updating it for the needs of us modern day menswear bods. 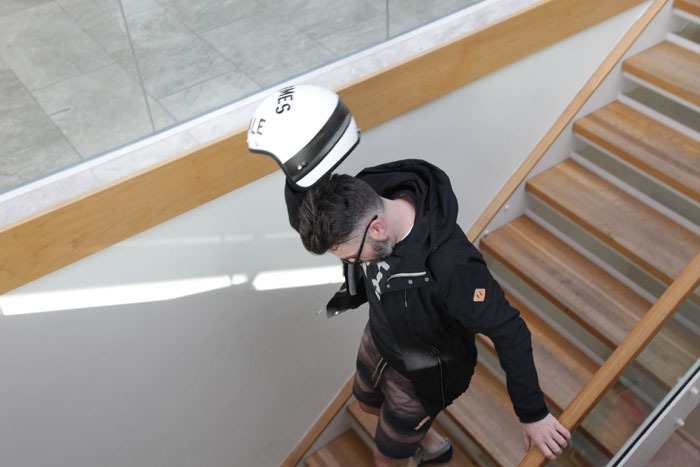 To upgrade your Uniformes, head over to their website with a few of the said products above available now with the rest not being available until March, the tight sods. 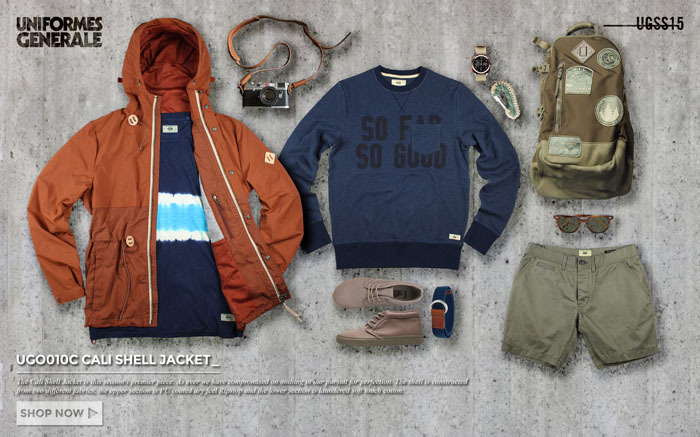 For more of whats to come, we have attatched their lookbook below, and it’s superb.